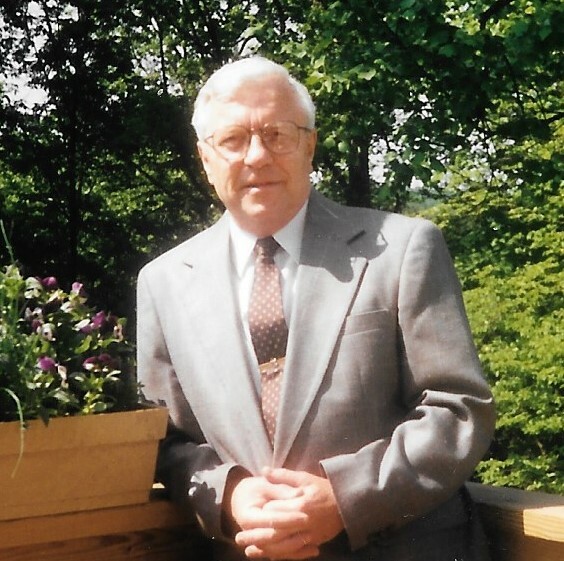 Donald D. Maheu, 89, of Newark, DE, formerly of Downingtown, passed away peacefully on Thursday, January 31, 2019 at Summerford House in Delaware. He was the beloved husband of the late Lorraine Dumont Maheu, with whom he shared 57 years of marriage prior to her passing in 2010. Born in Waterville, Maine, he was the son of the late Able J. and Jeannette Daigle Maheu. He proudly served his country in the United States Army during the Korean Conflict. Donald worked for Scott Paper Company for 35 years before retiring in 1984 as a Technical Director of the International division. He served as the East Caln Township Supervisor for many years. Don was a good man, a good father, a dedicated and loving husband with a life well lived in the service of all. Don and Lorraine gifted their children with exceptional values of how to lead your life with respect for your partners and love for your children. We all thank you for those priceless gifts. You are exceptional. Mr. Maheu is survived by his children, Daniel J., Peggy Gladstone, Gregory P., Christine Nicholson, John D., and Paula Whitley; a sister, Joan B. Dore; 14 grandchildren and 3 great grandchildren. He was predeceased by a brother, James E. Maheu. A Mass of Christian Burial will take place at 11:00 a.m. on Saturday, February 9, 2019 at St. Joseph Church, 332 Manor Ave., Downingtown. Family and friends may call from 9:45-10:45 a.m..
Interment will be in private. In lieu of flowers, memorial contributions may be made to the St. Jude Children’s Research Hospital, 501 St. Jude Place, Memphis, TN 38105 or online at www.stjude.org.